Beginning in August, Lauren Peace will conduct a journalistic research project in Kosovo that will explore stories of Kosovar women who have acted as catalysts for social and political change. Peace, who worked as a reporter at the Democrat & Chronicle before receiving the fellowship, was inspired to pursue this project after participating in the RIT Kosovo Peace and Conflict Summer Program in 2016. The program focuses on the background of the Kosovo conflict of the late 20th century, the period following the fighting and continuing challenges to conflict transformation and development. Peace sees the Fulbright fellowship as an opportunity to share compelling stories from the region more broadly. In addition to her main project, Peace also plans to volunteer as a youth soccer coach in Kosovo and establish a series of free soccer clinics for local girls. She said her experiences as a student-athlete at RIT taught her empowering lessons about leadership and teamwork that she hopes to impart on the Kosovar youth. 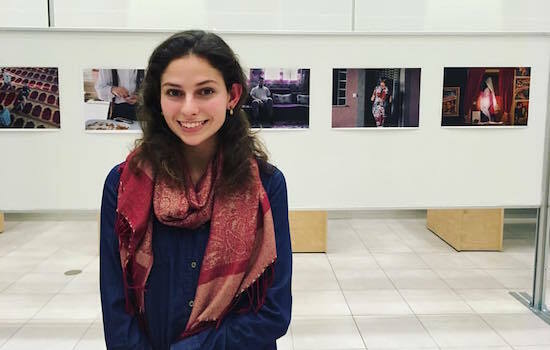 Peace also credits the RIT Global office, the RIT School of Communication and Meredith Davenport, associate professor of photographic arts and sciences, for providing her the support to obtain the fellowship.